With hundreds of thousands of homes yet to be repaired and rebuilt, Houston will be scarred by Hurricane Harvey for years to come -- if the local church sits idly by. The established recovery groups have millions of dollars to help the under-insured and under-resourced, but they desperately need manpower to make it happen. Where is the greatest volunteer base in the city? 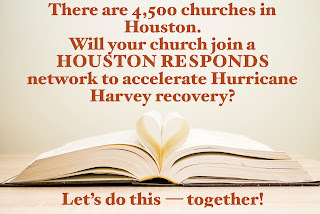 Imagine the momentum if 4,500 local churches could mobilize to accelerate recovery from this ongoing disaster. The church is compelled to respond to suffering. Long term recovery groups need our help. 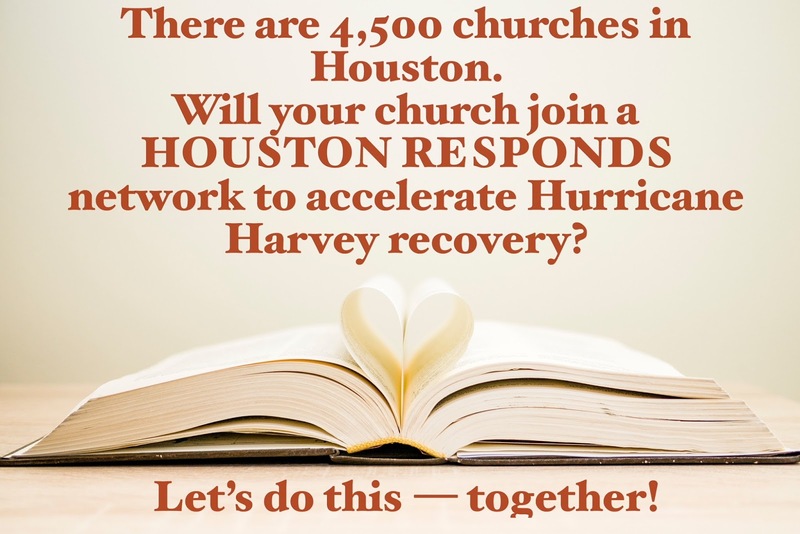 Join this unique movement by joining one of the HOUSTON RESPONDS regional networks and help heal Houston, one family at a time.